In love, in Christ, in trouble, in the weeds, in style, and so on; the preposition “in” has many meanings, but the first one is about inclusion, whether in concrete or abstract terms. And the crux of Paul’s message is about our inclusion in Christ and what that means, in life as well as in death. We believe that Jesus died and rose again and so we believe that God will bring with Jesus those who have fallen asleep in him. . . . the dead in Christ will rise first. After that, we who are still alive and are left will be caught up together with them in the clouds to meet the Lord in the air. It’s really the whole point, isn’t it? Some people still think that following one’s belief is merely an attitude or determination to live a better life, to manifest love, kindness, honesty, sincerity along with a number of other behavioral metamorphoses. I am not discounting this interpretation since transformation is part of the process. But I am also interested in the idea of being included in the Spirit world by my relationship with the Christ. Of late, I have been intrigued by the import of the Holy Spirit “in” me, but today, I am captivated by my presence “in” Christ. It is some kind of mutual inclusion. 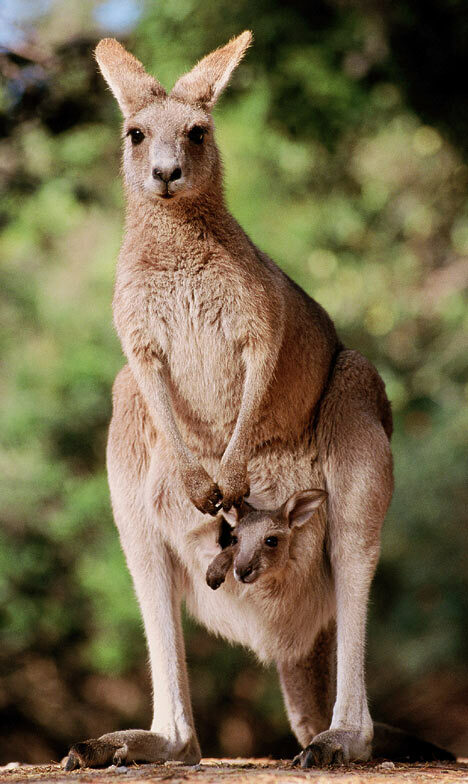 The biggest difference is that the presence in me is holy and pure and working toward cleansing that which is impure within me while Christ takes my “me” into Self as is and acts as a covering for me, like a mama kangaroo who carries her young in a pouch until the little joey is ready. Being in Christ is a permanent arrangement, not unlike the traditional marriage vow: “. . . to have and to hold from this day forward, for better or for worse, for richer, for poorer, in sickness and in health, to love and to cherish; from this day forward until death do us part.” But the difference is that death does not “do us part.” We remain “in” each other even then; that’s the promise. It’s a spirit thing, not corporal. Being of, for, and in Christ, is not just following some teachings, writings, or interpretations by people throughout the ages. It’s an interior experience above all. And that is where it all counts the most.